Now that I have been blogging for some time I feel comfortable with what I am doing and have got into a routine which I try to stick to as often as I can. I have also learnt an awful lot along the way and although there are still area’s where I can improve I am really happy with my blog at the moment so thought it was a good time to share some of more of my blogging tips with you. In a previous series which will continue further over the next few months I covered ‘Thing’s I Wish I’d Known About Blogging‘ which gave me the inspiration for today’s post. Of course your blog is your own space on the web, though so you can do what you want and may not want to take all of the below points on board. The first point is one of the most important and that is to engage with your readers. A blog, very much like You Tube can be just one way communication but it’s much more fun when your readers engage with you and take the time to leave comments on your blog posts so it’s really important you return the favour by replying to them. Email and Twitter are also useful ways for your readers to get in touch and although it can be time consuming if you’re busy I’d definitely recommend replying to as many people as you possibly can. One of my favourite things about blogging is reading all of your comments and speaking with you all and I’ve even been lucky enough to make some friends along the way. When it comes to how often you should post that is completely up to you. I don’t think there is any right or wrong answer for this but personally I think it’s a good idea to try and keep it as consistent as you can so your readers know when to expect a post so they can pop back and read it. When I first started blogging this is a point I missed and I would randomly post and not very often! I wish I’d got into a routine much sooner and thought more about posting rather than do it as I when I could. I now post every day except for on the very rare occasion I’m not able to and this works really well for me. I love seeing your feedback and sharing and much as possible with you all so posting daily makes sense for me. I also write up my blog posts in bulk rather than daily because of the long hours I work so this fits in perfectly. If I was to post less often I’d just have loads of posts sitting in my drafts which would be pretty pointless! Taking photo’s for your blog in my experience takes time to master. I haven’t got a background in photography so over the past few months I have taught myself how to use the different settings on my camera and be creative when it comes to backgrounds in pictures. This is something I have really enjoyed and I am at a point where I am finally happy with my photo’s. In my opinion displaying large photo’s that really show off the product look great in blog posts and editing should be kept to a minimum. The only editing I do is to resize my photo’s so they fit the width of my blog and maybe add some text if appropriate. It is also important to think about the number of photo’s you include in a blog post. It’s good to show different parts of the product but you need to consider if all the photo’s are necessary and if including more will add value to the post or will irritate your reader. I can’t emphasise enough how important Social Media is when it comes to blogging. I was pretty late on the bandwagon with this one so I missed out on the blogger chats that take place, getting to know people and discovering new blogs. If you have a blog definitely sign up to Twitter if nothing else! Although your blog is your little corner of the web and you can do what you want with it you need to remember your audience. My blog is primarily focused on beauty but because I have an interest in other things too other topics crop up from time to time also. It’s great to vary the content on your blog but remember your readers and what they want to see before branching out too far. I think the biggest bug bare for most bloggers is when you put a huge amount of time and effort into your blog and posts and someone comes along leaving a follow for follow comment without taking any notice of anything you’ve said. I love discovering new blogs and I regularly look at those left by people who comment without saying the above so it isn’t really necessary. If you like a blog just follow it! It’s really great to take inspiration from other bloggers but remember to be yourself. No one wants to read the same blog over and over again so try to make yours unique whether it be through your layout, photo’s or posts. It’s always good to let your personality shine through and let people get a glimpse of the real you. There’s so many blogs now it isn’t always easy to be completely different but if I look at the ones I read most regularly although they talk about similar things there is something unique about each one which keeps making me go back to them. 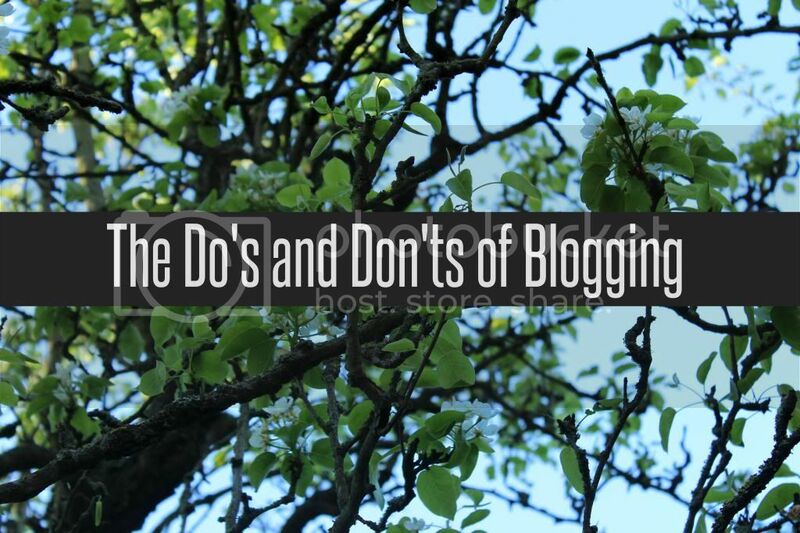 That’s a round up of my blogging do’s and don’ts.I hope you find them useful! Have a lovy bank holiday weekend UK bloggers! What do you think of my blogging do’s and don’ts? 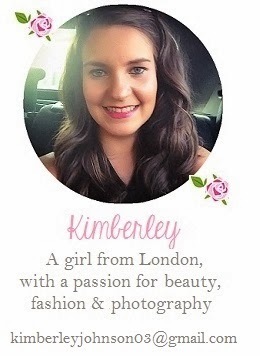 Thank you so much for this post, I'm a new(ish) blogger and these tips are really helpful! This is really helpful, as I'm a new blogger. Thank You! I agree 100%, especially about the “follow for follows”. This should be extended to social media as well. It will get you fast followers who might not sincerely like your blog. They only do it to get you to follow back, and they will unfollow you eventually. PIctures are a deal breaker for me. if a blog doesn't have large pictures or they're too washed out to accurately depict the colors I'm not interested in reading. I also don't like follow for follow comments.